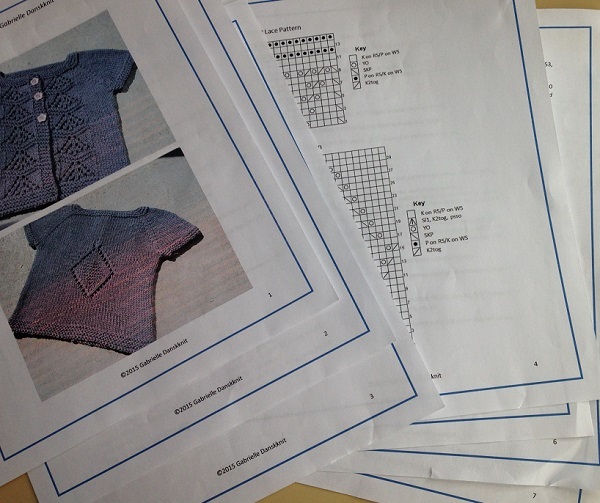 Seeing a challenging knitting pattern that, from the outset, looks really complicated can be very intimidating. For example, it may be several pages long, have two charts, each with a different number of rows, to be knit at the same time, as well as increases to be knit at certain intervals. Makes you want to run the other way right? But you don’t have to. These challenges don’t have to stop you from knitting it! Here are a few tips to help you through. I also have an example of what I did with a complicated pattern. Tip #2: Read through the whole pattern to get an idea of what will be entailed. Jumping right in without reading through the whole pattern may set you up for failure. There is often a direction “at the same time” which occurs further along in the pattern, but is something you are supposed to already be doing by the time you read it! Tip #3: Map out your rows. When a pattern has several charts as well as instructions for increasing, it helps to map out how you will accomplish your rows. Writing down each row, along with the corresponding chart rows, in a chart format or just in rows on your scrap paper will help tease out the confusion (see my example below). Tip #4: Cross off each row on your map as it is completed so there is no question as to what row you are on if you put your project down for a while. Tip #5: Keep breathing! One row at a time and you will get there. 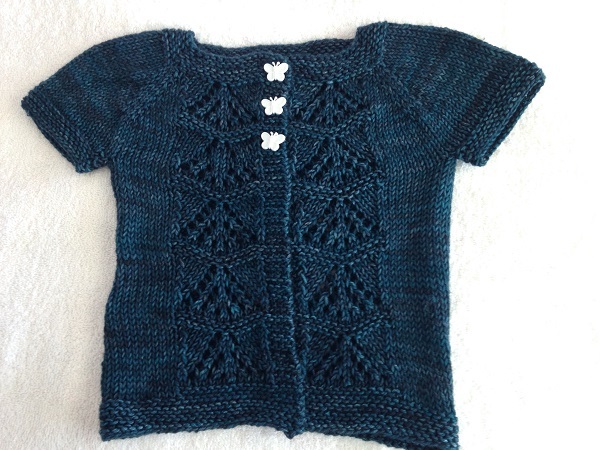 I recently found a challenging knitting pattern – an adorable baby sweater pattern which was 7 pages long, had two different charts, that had two different repeat lengths, that needed to be knit at the same time (at different parts of the same row) while knitting from the top down and increasing at four locations on my needle. Whew! The challenge was: How do I keep track of all this? Once I had worked out a system for keeping track of two charts and increases, it went quickly. To work out the system, first I took a deep breath! I read through the whole pattern to understand what would be happening throughout the project. For example, in this pattern the back chart is only knit once but the front chart is knitted throughout. That bit of information would help me get organized. Look at the first number for the increase row, then follow the numbers vertically down for what you will need to do on the rest of that row. You will see that after row 14 of each of the charts it gets interesting. You are still working on the first (and only) repeat of the back chart but you need to start over at the beginning of the front chart. Making a little chart like this to keep track made the process soooooo much easier to complete. *The “EVEN” means to work even (no more increases). See? So cute right??? I just love the back lace detail. It’s something a little unexpected. 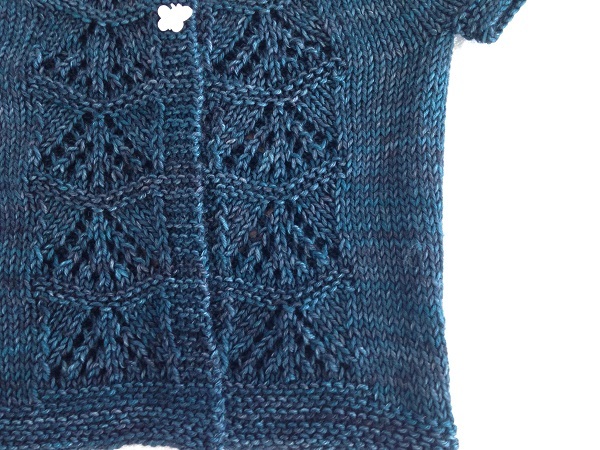 This Misty Blue pattern goes from 0-6 mos up to 9-10yrs in sizing. You can make it with long or short sleeves. The cute butterfly buttons are a little too big for my buttonholes so I’ll be searching for another set. For those who are local, this will be a class offered at The Spinning Room yarn shop in June and I’ll teach you all these tips in person. Boy does it feel good to actually be making some progress on knitting projects! 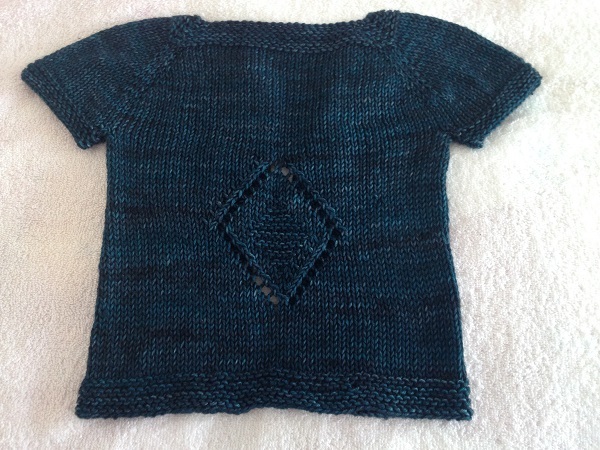 What do you do when you find a challenging knitting pattern? Ignore it and find a different pattern? Run? Try it? 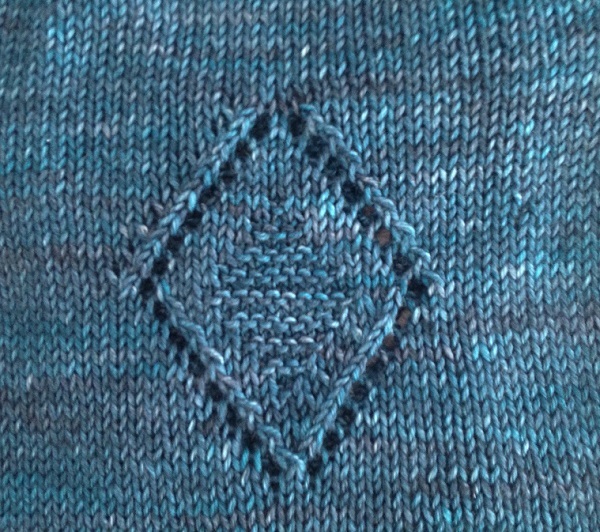 Posted in Uncategorized and tagged charts, knitting challenges, misty blue on March 20, 2017 by lizytish. Ignore it and run! I’m not the knitter you are!! But the Misty Blue sweater is really cute. Glad you can knit for longer now. Next time, try NOT to run Bea! You might surprise yourself!